The YBRP-140 SLM is a 3D printer brought to market by Chinese company Yibo3D. It is a 3D printer capable of printing relatively small metal objects such as jewellery. The printer is relatively affordable compared to many 3D metal printers costing less than £100,000 ($150,000 USD). 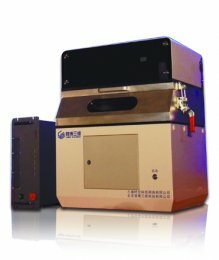 The YBRP-140 SLM utilises Selective Laser Melting (SLM) technology, which uses laser beams to melt metal particles into very exact shapes. It is also smaller than many metal 3D printers, measuring not much more than a metre squared (around the size of a household washing machine). Despite its compact size and cost, it is capable of constructing multi-material high performance metal parts. The printer is well suited to making jewellery as it can print in gold and silver, however, it can also print in other materials including iron, nickel, copper-based alloys and titanium so it can produce high precision and high density parts for other sectors such as automotive or aerospace. In terms of quality and resolution the YBRP-140 SLM compares well with other more expensive machines. For example the machine can 3D print iron materials in layer heights of just 0.02mm. In the case of a 100 mm part, accuracy will deviate by as little as 0.1 mm.